The location was easily accessible for bus to reach places. we enjoyed the stay, the location was convenient, one minute from the metro and it was easy to go to any famous sightseeing. The flat was equipped with all facilities. We had an impression that we lived in our home. 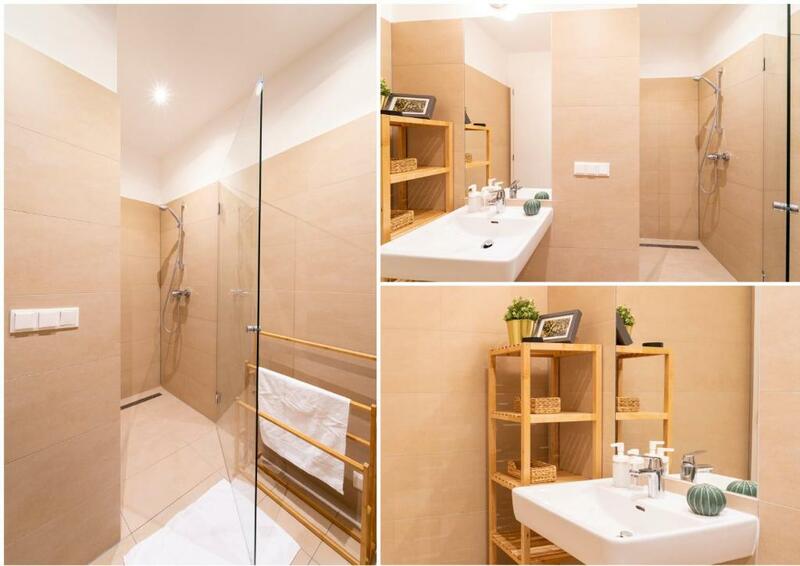 everything was great: very clean, well equipped and with a cozy design. next to the subway. We love the location and convenience to everything. It was a place that we look forward everytime go “home” after a long day of tour! I had a great time there. The flat was clean and very comfortable. They have all necessary stuff available even a hair dryer. Highly recommend. Beds were comfortable. location was perfect - accessible. 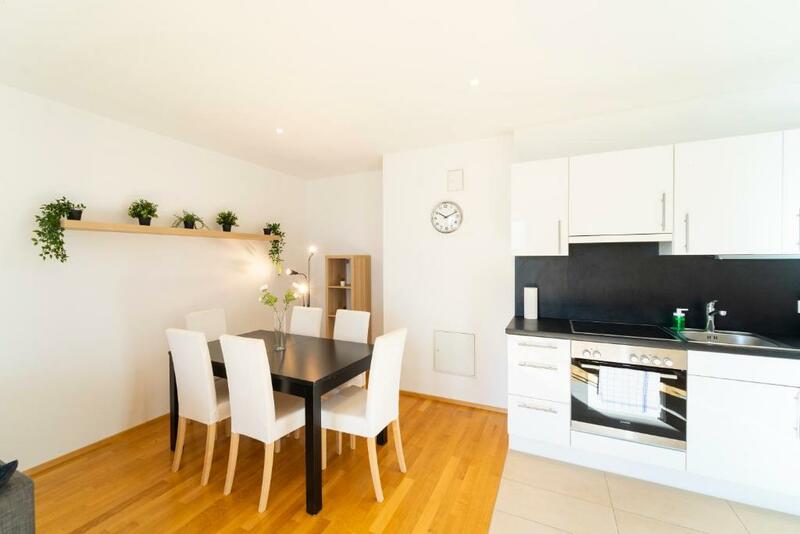 Everything was just great, location is great, just in city center, close to Naschmarkt, metro station, 10 minutes to Maria H. Strasse... and a short walk to all favorite sites and landmarks. The apartment was easy to find and enter, cozy, super clean, wifi worked well. Morning view from the window gave us the boost for the day. We highly recommend it, and probably will stay there again. One of our top picks in Vienna.Located in Vienna, a 10-minute walk from Haus des Meeres, Margareten Apartments has accommodations with free WiFi. 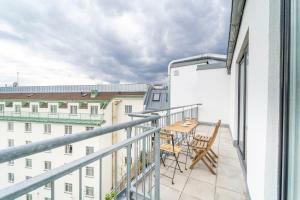 Vienna State Opera is 1.1 miles from the apartment, while Albertina Museum is 1.4 miles away. The nearest airport is Schwechat Airport, 13 miles from Margareten Apartments. 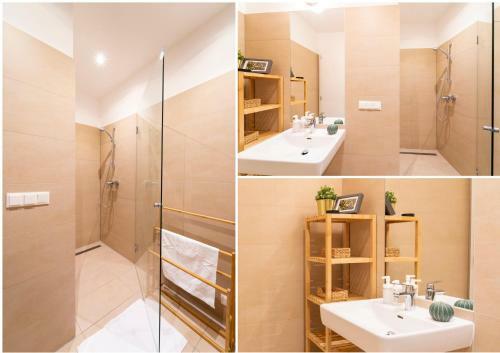 뀐 Located in the top-rated area in Vienna, this property has an excellent location score of 8.8! 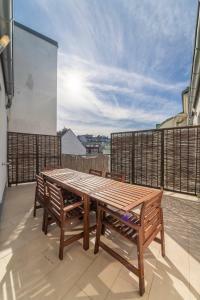 When would you like to stay at Margareten Apartments? 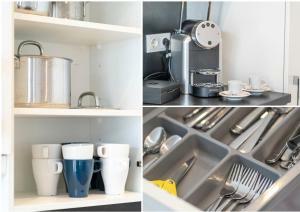 This apartment has a kitchenware, soundproofing and electric kettle. Private parking is available at a location nearby (reservation is needed) and costs EUR 22 per day. This studio features a soundproofing, dishwasher and oven. This apartment has a kitchenware, oven and soundproofing. 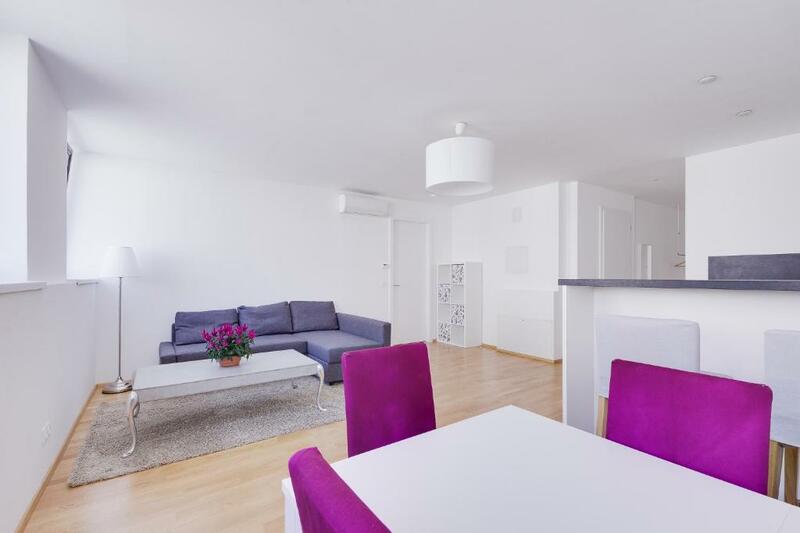 This apartment features a oven, air conditioning and seating area. 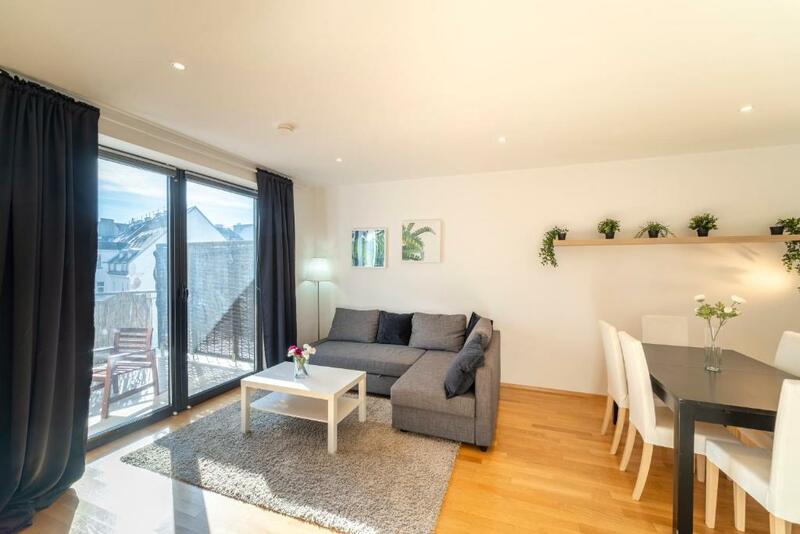 This apartment has a oven, sofa and electric kettle. This apartment features a oven, view and stovetop. This apartment has a stovetop, washing machine and sofa. This apartment has a sofa, seating area and kitchen. This apartment has a kitchen, dishwasher and sofa. Area Info – This neighborhood is a great choice for travelers interested in convenient public transportation, city walks and old-town exploration – Check location Great location - show map Guests loved walking around the neighborhood! 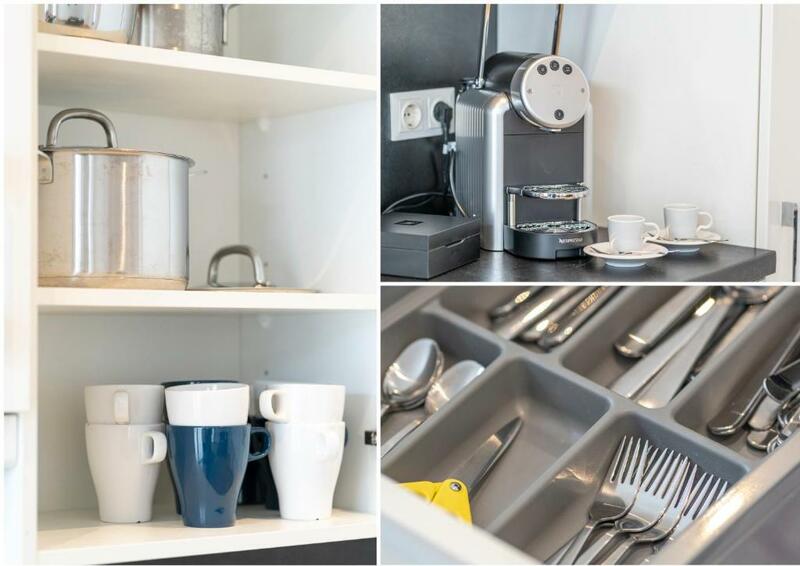 House Rules Margareten Apartments takes special requests – add in the next step! Everything at this apartment. We received the apartment at used state. Toilets not cleaned, bedsheets not done, kitchen not cleaned. Everythig was very disappointing. The first when we entered the apartment it was worst as it looks like normal hostel feel, since none of the areas was cleaned and no new towels were available as we are travelling with kids. Only after 4PM, the cleaning lady arrived and then they changed everything. I won't complain about the lady but the host should be responsible for this, if it is 3PM check-in it should be cleaned. Moreover the property number was not reachable by phone as it shows no one take responsibility. Excellent location, just a stop away from center, everything is close - underground, Billa, bakeries, coffee shop, restaurants. Easy access to the keys and codes for opening the doors. There were a few plates and cutlery, glasses and mugs as well. No curtains or blinds so we all woke at 5 a.m each morning and spent the whole week feeling pretty tired. Broken bathroom sink reported to owners but they just ignored this so stagnant water remained in the sink for 4 days. Fortunately there were two other tiny sinks in the flat. Also, shower flooded each time it was used so we only managed one shower each for the whole week. Again reported, but nothing done. No drawers in each bedroom so all lived out of suitcases. Lack of kitchen equipment therefore it would have been impossible to cook and meal for five of us. Single wardrobes for double bedrooms. Everything reported to the local Tourist Office and notes on complaints to be forwarded to Booking.com. Tourist office's comment was that the flat (flats) should have been checked over and lack of facilities noted by Booking.com. There was a horrible stench of cigarette smoke in the flat on arrival and this took nearly 3 days to disappear. We had two asthmatic children with us and the stench affected them greatly. Consequently, we had to spend a lot of time out of the flat and kept the windows open through the night. This was described as a 'non-smoking property'. Worst of all, there were no instructions displayed in the fla regarding exit points in case of fire in the large building. And as for information about anything else, for example refuse disposal, or even working instructions for the dishwasher, these were non-existent. On informing the local contact regarding plumbing issues etc., we received a rude text back stating that his organisation was not in any way responsible for anything in the apartment since it was not a hotel! Do not stay in this property - it is unsafe, particularly if there are children in the party. Health and Safety issues very apparent and you mostly feel like you are camping in the flat. The only positive things were the cleanliness and the location. No more than 3 marks out of ten overall. The location is great, is near to metro. Unfortunately the nearest metro station was closed for renovation. Bus stop is right in front the apartment, so is fine. Supermarket is just right opposite the apartment. Great advantages: The fact that the apartment was under the roof, that it was large and very calm if windows kept closed (unfortunately there were road works just beneath)! Only a microwave owen missed. Check-in process was easy and perfect, we received an email with codes for front door and keysafe. Metro, bus stations close. It was very comfortable for 4 person. apartment was not cleaned, when we arrived just 15 minutes before check in time to drop our luggage. no Wi-Fi or internet connection whatsoever, the metro station is located near the apartment BUT it is under reconstruction until 2020, so we couldn't use it and hat to walk to the nearest one. There were bed bugs and it was the main inconvenience, my children got bitten head to toe and got allergical reaction, so they kept suffering for days even after our return home. The administrator wasn't helpful and didn't answer the phone, she only answered text messages late at night. Promised to send someone to take care of the bugs and fix the wifi, but noone came! I got two emails with two different code from down-door. One code was correct. We had a problem with wifi. The U-bahn station was in reconstruction what could be writen in email. We had to walk to the next stop. Apartement is in center so it was a litle bit noisy. There were no curtains in the windows so there was a light during the night. Billa shop and bakery just in front of the entrance door. Bus and U-bahn stop right near the house. Direct U-bahn to ZOO. Oven and dishwasher. Big table for eating. Nice and clean. First of all quite low service regarding private parking. I paid for private parking and basically got instruction that “it is just around corner 30 secs” then I confirmed the location via phone with owner... one day later my car was evacuated, and it was not cheap. 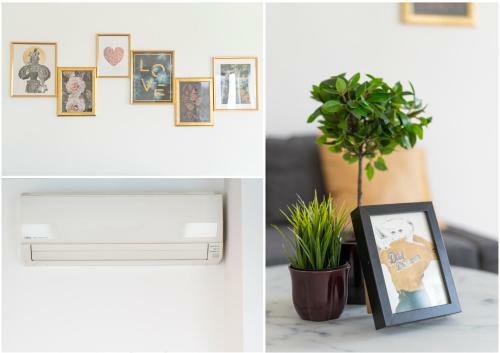 Second: I missed the instruction guide inside apartment (about WiFi, trash rules, some basic instructions), it is even legal requirement to have something like that in place. Third: ants ! Ants everywhere !!! Four: the metro station is just few meters away from apartment, in normal case it’s a positive things, if I don’t concern the fact that the metro station is now under reconstruction till Jan 2020... all day and all night you hear construction noise from there.... terrible.